Blame the rich for the next asset bubble. Or not. Most credit indicators are close to or above their pre-credit crisis high. 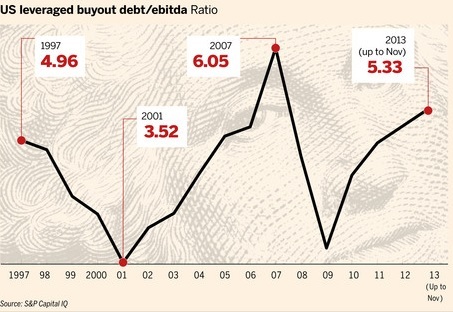 Sales of leveraged loans and high-yield bonds are above their pre-crisis peak. 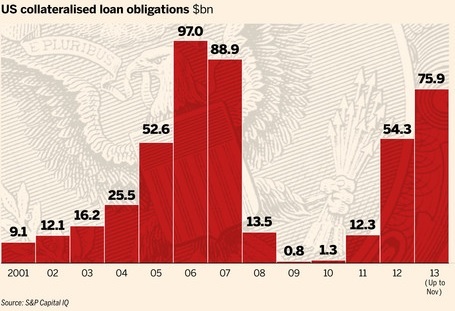 The average leverage level of US LBOs is back to 2006 level. 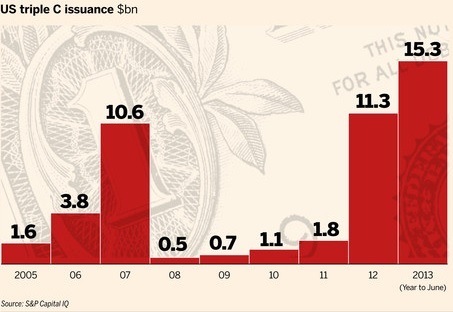 Issuance of collateralised loan obligations is close to its pre-crisis peak. Even CCC-rated junk bonds are way above their previous peak. I’ve already mentioned some of those facts a few months ago. In a relatively recent presentation, Citi’s strategist Hans Lorenzen confirmed the trend: central banks are indirectly suppressing most risky investments’ risk premia. 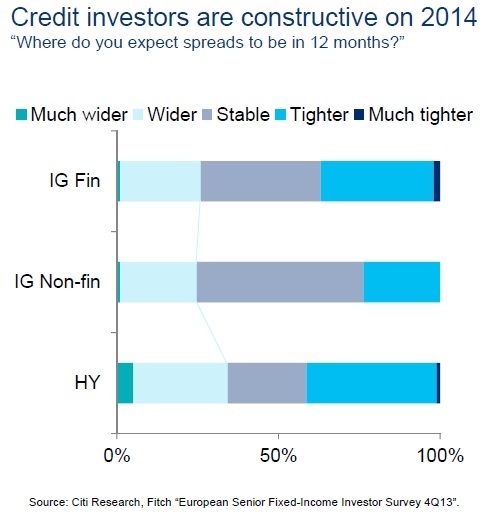 Most investors expect junk bonds’ spreads to tighten further or at least to stabilise at those narrow levels and emerging markets bonds and equities, as well as junk bonds are now among investors’ top asset classes . My ‘theory’ at the time was that (see also here), if investors were piling in increasingly riskier asset classes, bringing their yield down to record low levels in the process, and nonetheless accepting this level of risk for such low returns, it was because current central bank-defined nominal interest rates were below the Wicksellian natural rate of interest. Inflation, as felt by investors rather than the one reported by national statistics agencies, was higher than most real rates of return on relatively safe assets. 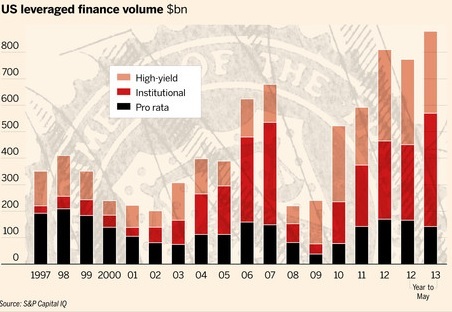 In order to see their capital growing (or at least to prevent it from declining), they were forced to pick riskier assets, such as high-yield bonds, which were not really high-yield anymore as a result but remained junk nonetheless. This would result in capital misallocation as, under ‘natural’ interest rate conditions, those investments would have never taken place. Thomas Aubrey’s Wicksellian differential, an indicator of the likely gap between the nominal and the natural rates of interest, was, in line with credit markets, reaching its pre-crisis high and seemed to confirm that ‘theory’. Well, I now think that not all investors are responsible for what we are witnessing today. The (very) rich are. This came to my mind some time ago while reading that FT piece by John Authers. This was revealing. In the UK, real gilts’ yields were already in negative territory: adjusted by the (potentially underestimated) consumer price index, gilts were yielding around -1% early 2013. Savers were effectively losing money by investing in those bonds. 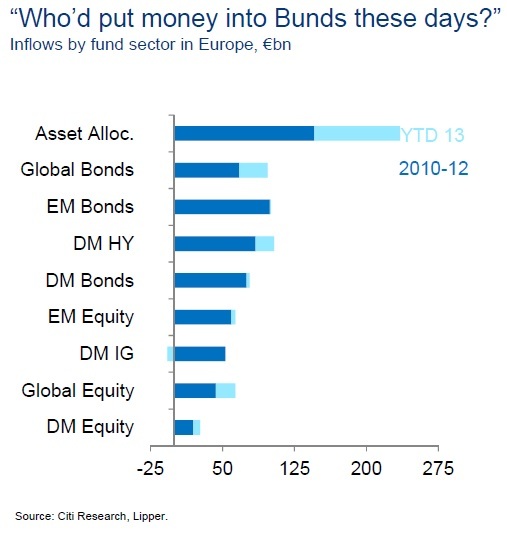 Now think about the rich: by investing in such bonds, they would get a real return of around -3% instead. Are the rich responsible for our current frothy markets then? Obviously not. They are acting rationally in response to central banks’ policies. Nonetheless, this raises an interesting question. Mainstream economics only considers a high aggregate inflation rate as dangerous. What about ‘class warfare’-type inflation? It does look like inflation experienced by one socioeconomic class could inadvertently lead to asset bubbles and bursts, despite aggregate inflation remaining subdued. This may be another destabilising effect of monetary injections on relative prices. Granted, central banks possibly are on a Keynesian’s ‘euthanasia of the rentier’-type scheme in order to try to alleviate the pain of over-indebted borrowers (and/or to encourage further lending). But financial repression avoidance might well end-up coming back with a vengeance if savers’ reactions, and in particular, rich savers’, make financial markets bubble and crash.